Laem Set is quiet, and relatively Undeveloped, with very shallow, calm waters. A short walk along the beach, heading west, brings you to the famous landmark ‘Golden pagoda’ at Laem Sor temple. Walking along the beach to the east, you will discover a small traditional Thai fishing village, with some local shops and restaurants. Horseback riding along the beach can be arranged at the local stables. and 24 Deluxe building rooms, which give us 40 bedrooms. Discover Shasa Hotel at Koh Samui, where romantic chic blends blissfully with the beauty of nature. Nagalaya is a collection of 28 spectacularly located private homes on the tropical island of Koh Samui in southern Thailand. A holistic spa and wellness sanctuary on the tropical island of Koh Samui. Individual Thai style villas are the unique concept, architecture and landscaping with unmatched natural beauty. EasyTime offers a private and relaxing atmosphere to its guests and at the same time provides the guest with an appreciation with the endless beauty of the nature on Samui Island. Thong Tanote Beach, Quiet shallow beaches with views to the neighboring islands and the mainland there is no shopping or nightlife nearby though it is only a 20min. 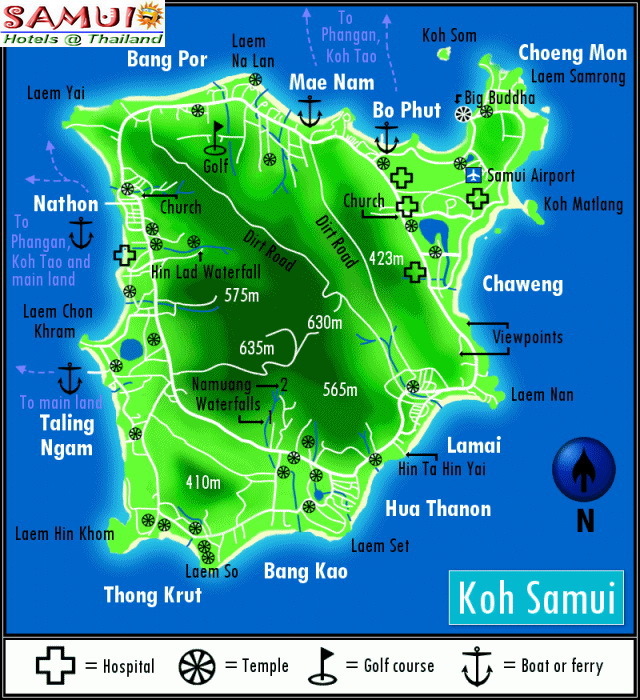 drive to Lamai or 30min to Chaweng. Although Thong Tanote Beach is not really a spot for swimming, but still has the image of a small fishing village, with a nice view of islands to the south. Location: Thong Tanote Beach, southwest coast. A Resort with Private Beach. Coconut Villa Resort & Spa is located on the south coast of Koh Samui. Holiday retreat Phang Ka Paradise Resort is positioned directly at the beach front of Phang Ka Bay. Jinta beach bungalow is a small friendly Thai family resort on the seclude beach with 5 bungalows and 7 small cottages.